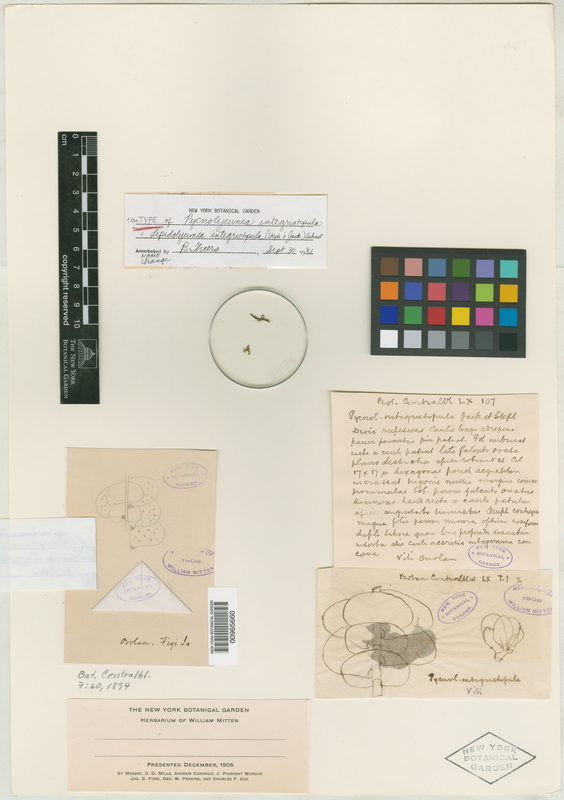 Taxon: Pycnolejeunea integristipula J.B.Jack et Steph. Collector: E. O. Graeffe s.n. Notes: The name of the collector was taken from the protologue.